Additional Info: All bedding and towels are provided. Please inform us of the above, when making a enquiry. 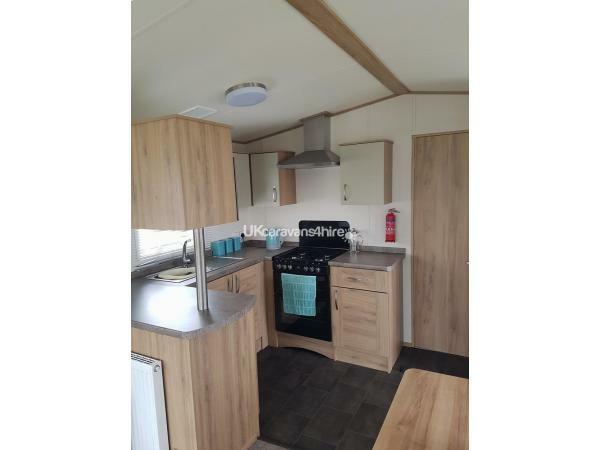 6 birth luxury caravan, with 2 bedrooms consisting of a double in the main bedroom and two singles in the second. 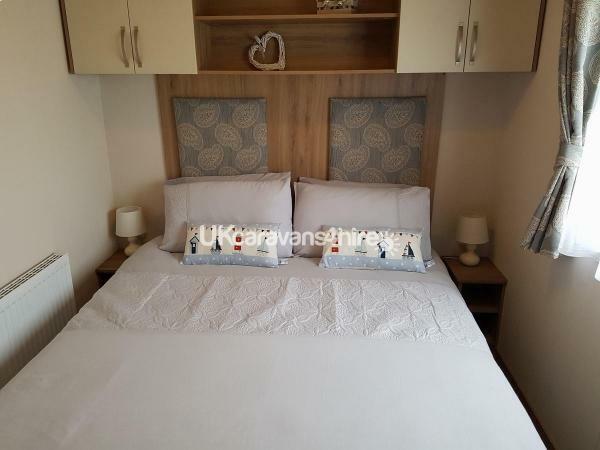 The third bed is the sofa bed in the living area which pulls out into a double. 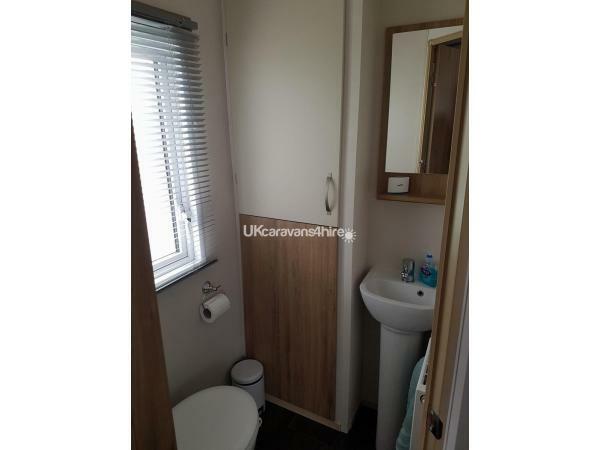 The main bedroom has ensuite toilet and there is a separate main family bathroom. The kitchen is fully equipped, and we also provide towels and bed linen. 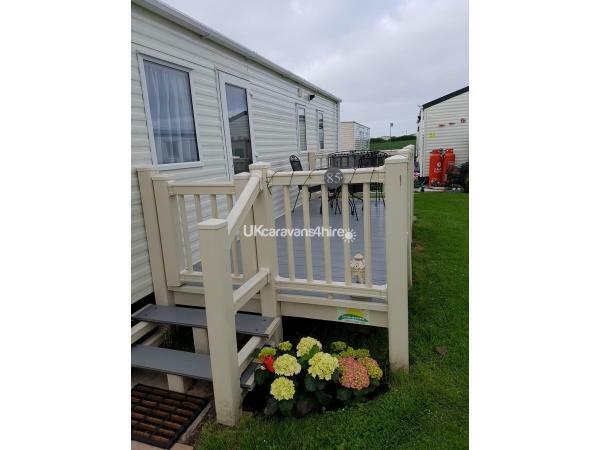 There is a lovely decking area situated at the side of the caravan with a seating area. 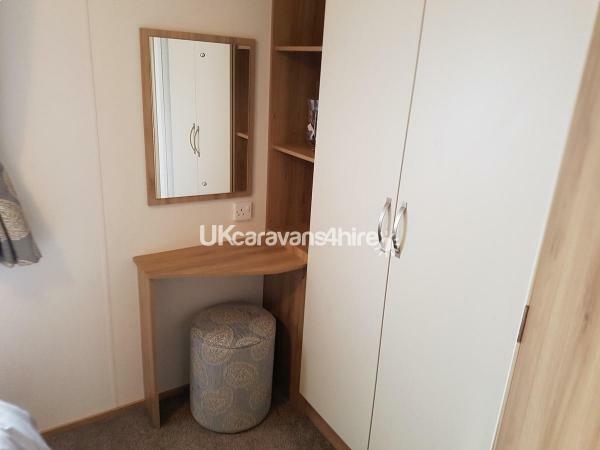 The caravan is situated on Stoupe Cross Caravan Park which is a 10 minute walk from the Abbey (the nearest caravan park to the abbey) and from the top of the park is a beautiful view of the Abbey. This is a beautiful, quiet park. There is a lovely play area for the children. 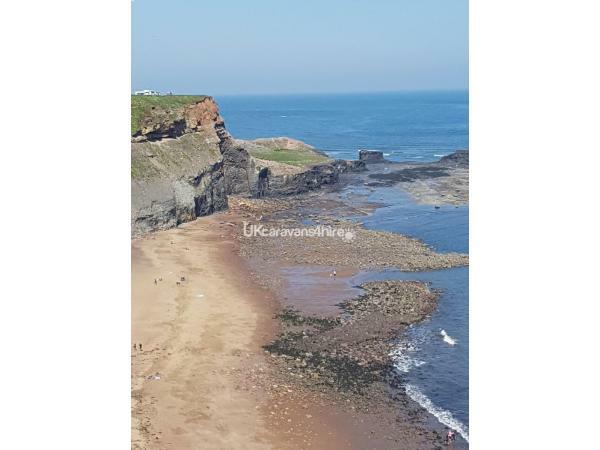 Whitby town centre is approx 20 minute walk, either via the beautiful Cleveland way coastal route, by the Abbey and down the famous 199 steps. Alternatively it's a 5minute drive. Preferably during June, July and August - full weeks only. 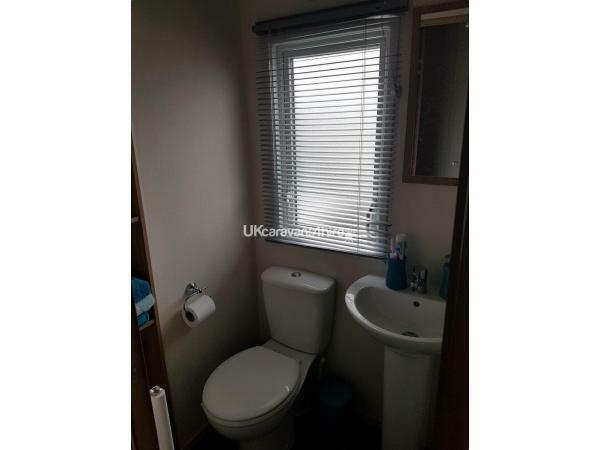 (If shorter stay required, please contact us to see what availability we have). Bookings taken from 1st March - 31st October. Small dogs maybe permitted with owners discretion. Just returned from a great few days at Alan and Kim's beautiful caravan. Arrived to chocolates, biscuits and milk in the fridge, you thought of everything. Great location with a choice of walks into Whitby, Buddy our dog loved every minute. Had a fantastic time and will definitely return in the future. Thank you for your review Debbie. I'm pleased you enjoyed your stay, and we look forward to you staying again in the future. Regards Alan. Thank you for your review Angela. Glad you enjoyed your stay with us. Regards Alan and Kim. 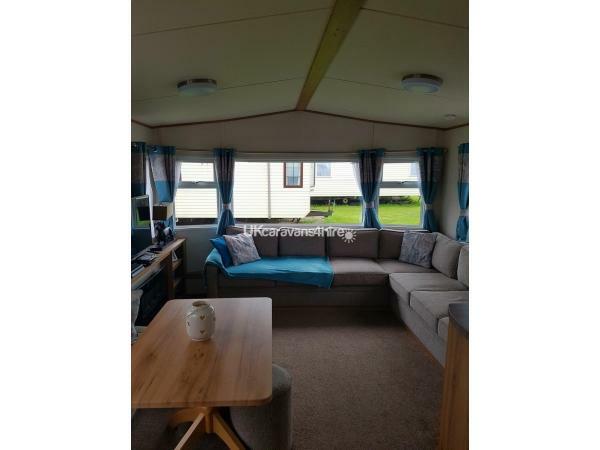 Absolutely lovely caravan, very modern, nicely decorated and spotlessly clean. A nice welcome with biscuits, chocolate, milk and a nice card. Plenty of tea bags, coffee, sugar for using. Washing up liquid, cloths and tea towels provided. We took our dog and pet water bowl was provided too. Lovely quiet site. 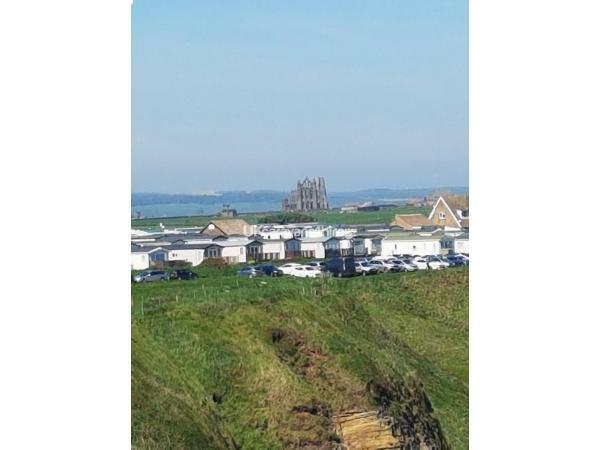 Within walking distance of the town following lovely coastal path. Also short walk to shop and club on nearby site. 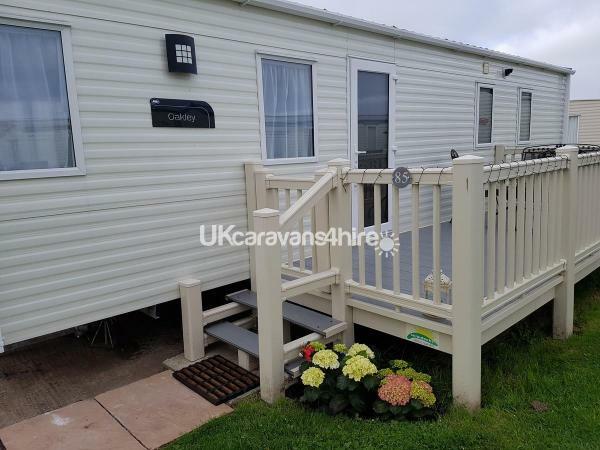 Caravan has decking with table and chairs and it’s a sun trap, perfect for your morning coffee or afternoon tipple. All in all a lovely stay for a reasonable price, I’m sure we will be back. Thanks for your review Gail. We are so pleased you enjoyed your stay, and hope to see you again in the future. Regards Alan and Kim. 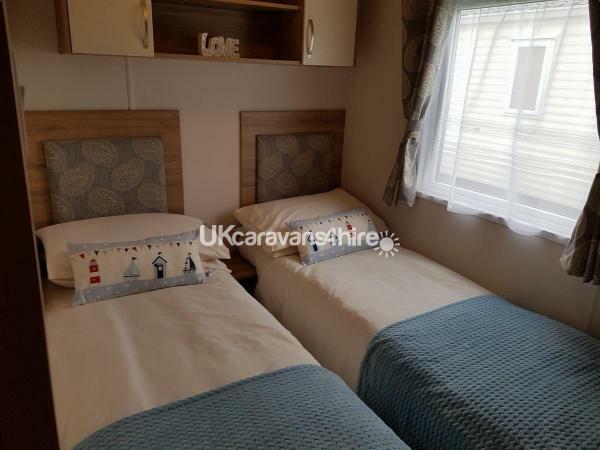 Fantastic,clean ,modern caravan which is very tastefully decorated it is very well equipped and has all mod cons the owners have thought of everything it's on a lovely holiday park with ease of getting into Whitby just a twenty minute lovely walk along the cliffs and down the abbey steps or alternatively along the road both very easy walks .Booking was extremely easy with the lovely owners who could not do enough for you we will definitely be back and highly recommend this cravan we didn't want to leave . Thank you for your review Kay. We are so pleased you enjoyed your stay. And would love to see you again in the future. Regards Alan and Kim.